Kylie Carville is an infectious diseases epidemiologist with particular interests in vaccine preventable diseases and Indigenous health. 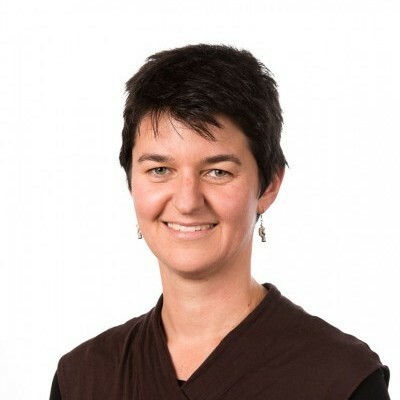 With a background in microbiology/molecular biology and in development studies, Kylie completed Australia’s field epidemiology training program, the Master of Applied Epidemiology, in 2005. Subsequent work experience on projects as diverse as the East Arnhem Healthy Skin Project and hospital influenza pandemic planning has further developed her skills in epidemiology and surveillance. Kylie has worked on a number of projects overseas including integrated disease surveillance and response systems in Zambia, measles surveillance in Papua New Guinea, and vaccine cold chain work in Fiji and Kiribati. She has supervised a number of undergraduate and Masters students, and lectures in Infectious Diseases Epidemiology with the School of Population and Global Health at the University of Melbourne. Kylie has been seconded to the Communicable Diseases Epidemiology and Surveillance section of the Victorian Department of Health and Human Services on a number of occasions.